When you are ready to sell, let me know.. I make it easy, so should you. Let's keep it simple....... So if you may be in need of cash or just thinning out your collection or selling all of your Colts, I may buy yours. 1 or whole collections. Please contact me and we will make arrangements for payment and shipping. 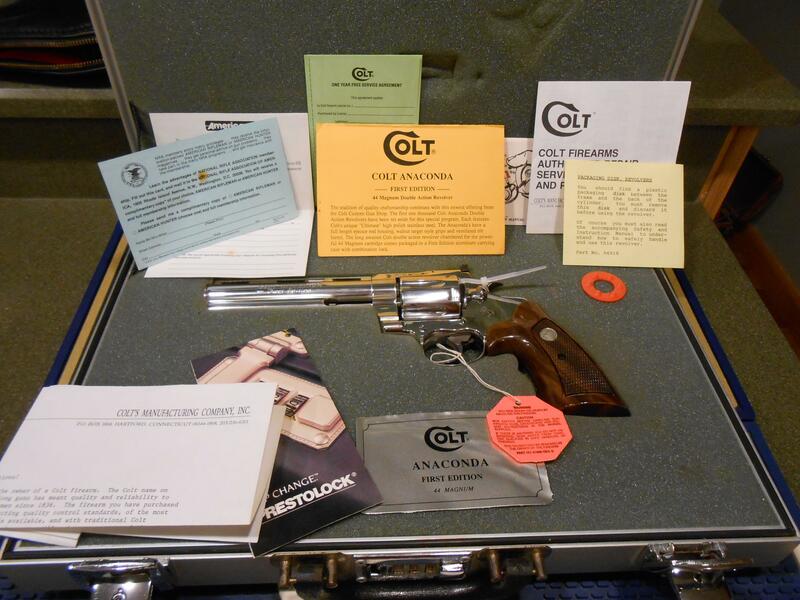 More and more people are collecting and investing in Colt Snake guns these days. NIB/Unfired are rare. Colts are truly the artwork of revolvers. More fun than gold or stocks. Be careful when buying. Go through a FFL dealer to be safe for transfers.. I specialize in Colt Snake Guns. CA., Canada and Puerto Rico sales are fine for certain approved guns. Add $25.00 for additional paperwork. I handle only quality firearms as you know and list at market price or less. If listed "Unfired", it is New In Box and Unused. If "As New", they may be slightly handled and/or fired very seldom " MY PROMISE TO YOU IS THIS, "I ONLY SELL GUNS THAT I WOULD BUY AND KEEP FOR MYSELF. YOU ARE BUYING THE BEST. THAT IS MY WARRANTY, THAT IS MY WORD......IF Colt has the records, my guns all will Archive Letter. No firing return policy. All guns are for sale locally and can be sold off GA. All items are fully insured in shipping fee so it seems to be pricey. I am a Licensed FFL Dealer. I may buy your Colt if Unfired or As New with box,etc.. 4% credit card fee. Please, NO calls before 10 AM EST or after 9PM EST. Thank You, Steven Progler Sr.